What happened to Archive Tier? 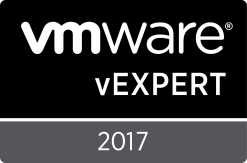 Archive Tier was announced back at VeeamON 2017 New Orleans alongside a raft of new features scheduled for release with Veeam Backup & Replication v10. Archive Tier would enable Veeam administrators to easily add regular disk-based backup repositories, object-based storage repositories or even tape as an archive extent to a SOBR (Scale-Out Backup Repository) which could then be configured to copy any backup or move sealed backup files from the SOBR across to said archive extent. The ability to archive backup files to a particular archive extent such as tape or cheaper disk was a great addition, but the significant improvement was the native integration with object storage which has been a highly requested feature for several years now. During VeeamON it was announced that AWS S3, AWS Glacier, Azure BLOB and Swift compatible object storage to be supported. Copying Veeam backup files to object storage has always been possible through the use of third-party vendor storage gateways, such as the AWS Storage Gateway or Azure StoreSimple but speaking from my own experiences, these tools don’t always deliver what they promise and require additional skills to support. This entry was posted in Microsoft, Veeam and tagged Azure, BLOB, Capacity Tier, Object Storage, S3, Update 4, v9.5u4, Veeam, Veeam Archive Tier, Veeam Capacity Tier, Veeam Cloud Tier on 19/12/2018 by admin. I was just checking out Poul Preben’s blog and discovered a fix for an issue I encountered during an earlier Veeam deployment. Don’t you love finding answers to those mysterious issues, I certainly do. 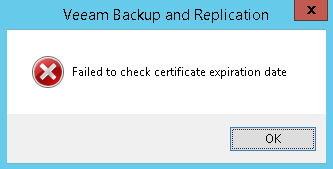 The problem arose whenever I tried to add a particular windows server into the Veeam managed backup infrastructure. 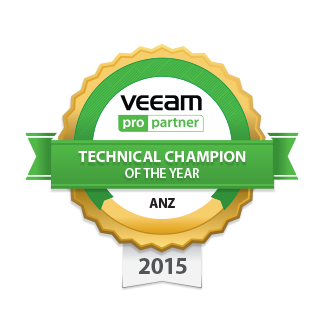 The server was earmarked to become a Veeam Proxy and Backup Repository. As per best practices we didn’t join this server to the domain and created a dedicated local account on the server for Veeam authentication. Remember if the logins on the machine to-be-backed up and the backup storage are the same, we call that unwanted correlation. Unfortunately, we ran into the below issue when trying to install the Veeam Deployment Service. [my.repository.fqdn] Failed to install deployment service.The Network path was not found–tr: Failed to create persistent connection to ADMIN$ shared folder on host [my.repository.fqdn].–tr: Failed to install service [VeeamDeploymentService] was not installed on the host [my.repository.fqdn]. The Veeam binaries are pushed through the ADMIN$ share and it turns out that this share cannot be accessed with a local administrator account by default, due to Remote UAC being enabled. If we had used the local Administrator (SID 500) account however, this issue wouldn’t have occurred. Poul details the fix on his blog which I’ll link below. This entry was posted in Veeam and tagged Veeam on 11/12/2018 by admin. I recently had the opportunity to visit Prague courtesy of the Veeam Vanguard program, this is my second year being a member of this fantastic community which is arguably one of the best evangelism/advocacy programs run by any vendor out there. While it was a long journey to get to Prague it was well worth it, to not only catch up with the other Vanguards but to get access to Veeam’s Product Strategy team, R&D personnel and Product Managers for in-depth discussions of everything Veeam related. The summit consisted of two and a half days of sessions that included content filled to the brim with Veeam goodies ranging from upcoming updates to entirely new products that were still very early in their development cycle (kudos to Veeam for sharing). Veeam certainly was not holding back as questions raised from fellow Vanguards were answered honestly and truthfully, nothing was off the table including any questions about v10. 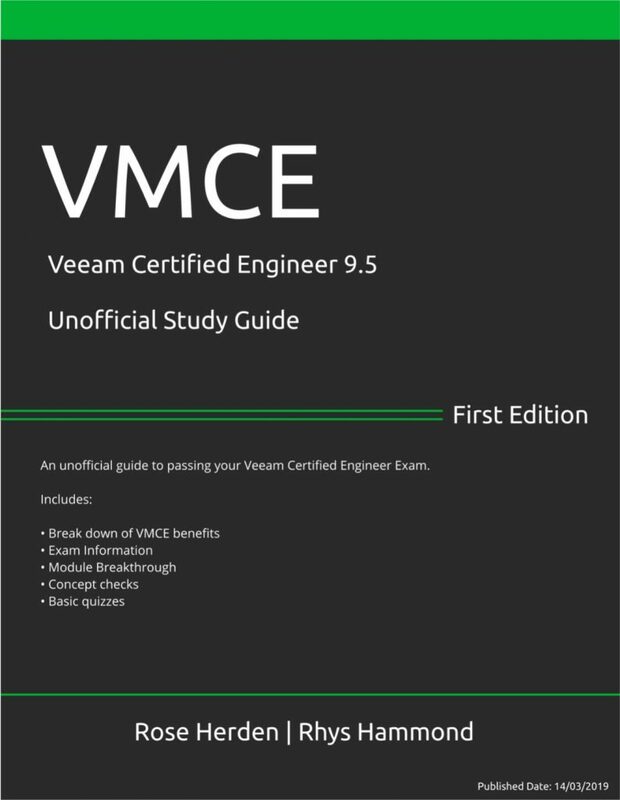 All of this provided an insightful glimpse into the inner workings of the Veeam team and further cemented the value I place in the Vanguard program. The real golden nuggets of information were found whenever we delved into the reasoning behind how and why certain features and capabilities were developed. For example, session speakers might detail the limitations of a particular feature and how they have worked to address them even if it might mean investing more time than anticipated in developing the feature. Yes, it’s a difficult decision to make but Veeam isn’t in the business of making half-baked software and it certainly shows in just how reliable their software has been to date. This entry was posted in Veeam and tagged Vanguard, Veeam, Veeam Vanguard on 02/11/2018 by admin. Error: Failed to call RPC function ‘StartAgent’: Timed out requesting agent port for client sessions. Veeam KB 1922 to the rescue, the cause of this issue is the ‘configuration of a Windows server within the Veeam console being set to have a limited number of ports to use‘ which thankfully can be resolved quite easily. To resolve simply go to the ‘Backup Infrastructure’ section in your VBR (Veeam Backup and Replication) console, go to the properties of any Windows servers that are being used by the job that is failing. So in this customers case, we can start with the backup proxy, then the backup repository, then if the problem still persists we can increase the port range on the VBR server as well. Once the port range is increased we simply click OK to apply the changes, I recommended we start with a relatively small number of ports (50) and increase if the problem still persists. I haven’t figured out why in this customers case they encountered this port exhaustion issue, I find it curious as I’ve worked on much larger Veeam deployments before that didn’t encounter this issue. Ill need to perform some investigation and report back here once I learn more. **UPDATE** Restarting the VBR server has resolved the issue without having to increase the port range. If it continues to happen we’ll look at increasing the port range but until then the default settings are good to stay. This entry was posted in Veeam and tagged Backup and Replication, Error: Failed to call RPC function 'StartAgent': Timed out requesting agent port for client sessions., Timed out, Timed out requesting agent port for client sessions., Veeam, Veeam Error on 02/07/2018 by admin. 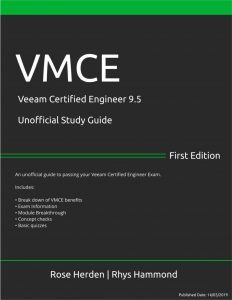 So my first go at the VMCE-ADO exam was way back at New Orleans during VeeamON 2017. That experience could quite easily be described as an A+ for attendance but an F for effort, it was a textbook case of the ‘7 Ps’ and I walked away with a measly 50% result. Thankfully I was fortunate enough to be using an exam voucher which included a free reattempt so I thought why not give it a go while I can. That exam showed me first hand just how tough it really is but more importantly, I saw what it was going to take in regards to study to make sure I was really ready for the next attempt. Unfortunately, it has been over a year since VeeamON 2017, in fact, VeeamON 2018 has already come and gone, yet I couldn’t delay sitting the exam any longer as the reattempt voucher was just about to expire. Timing was not the best as we just sold/purchased/moved houses 3 weeks prior and it was my sons 3rd birthday 2 weeks prior. I think I gained a few grey hairs this month… Nevertheless, the exam was booked and I couldn’t reschedule it without getting out my credit card. 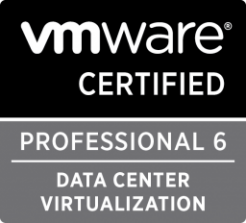 This entry was posted in Veeam and tagged Veeam, VMCE, VMCE-ADO on 15/06/2018 by admin.